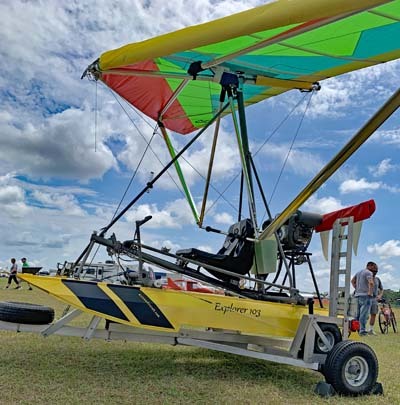 Rans designer and leader Randy Schlitter brought his complete and flying S-20 Raven to Sebring and we spoke with him updating our earlier video from last summer when the airplane was in "bare bones" mode. Randy describes what they learned as they finished Raven and what elements on this interesting design meld the popular S-7 Courier with the best selling S-6. He notes that he and his team really answered the requests of customers over recent years. 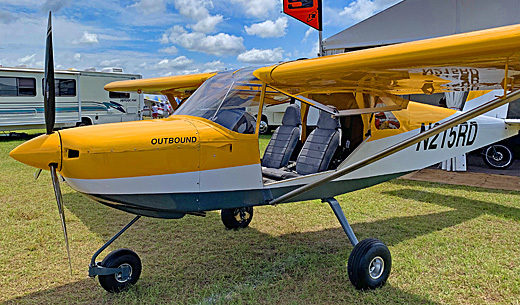 Rans designer and leader Randy Schlitter brought his complete and flying S-20 Raven to Sebring and we spoke with him updating our earlier video from last summer when the airplane was in “bare bones” mode. Randy describes what they learned as they finished Raven and what elements on this interesting design meld the popular S-7 Courier with the best selling S-6. He notes that he and his team really answered the requests of customers over recent years. In our continuing series of Video Pilot Reports (VPRs), we review the latest Rans, designer Randy Schlitter's S-20 Raven. This is a delicious combination of the sweet-flying S-7 Courier and the S-6. The Courier is tandem and not everybody wants that plus the new model incorporates many new features that Schlitter knows his customers will enjoy. Come on along for a flight in the newest and greatest from the Hays, Kansas kit and SLSA builder. This a most enjoyable flying machine and we hope you like our perspective. In our continuing series of Video Pilot Reports (VPRs), we review the latest Rans, designer Randy Schlitter’s S-20 Raven. This is a delicious combination of the sweet-flying S-7 Courier and the S-6. The Courier is tandem and not everybody wants that plus the new model incorporates many new features that Schlitter knows his customers will enjoy. 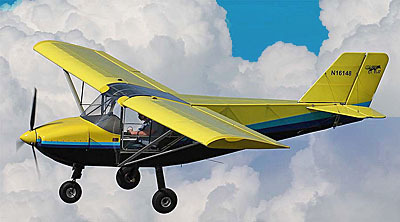 Come on along for a flight in the newest and greatest from the Hays, Kansas kit and SLSA builder. This a most enjoyable flying machine and we hope you like our perspective. The Rans team poses with their new certificate (held by boss Randy Schlitter) after winning FAA acceptance as a Special Light-Sport Aircraft (#137). all photos courtesy of Rans, Inc. 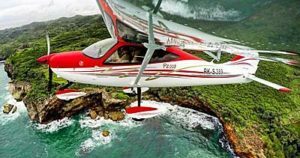 The world of Light-Sport Aircraft has matured in the sense that we no longer have an airplane or two or three every month being added to the SLSA List. That may sound like a "industry slowdown" to some folks but I don't believe that's an accurate assessment. A more realistic view is that the feverish rush days of 2004-2006 are over. That means not as many new SLSA are being offered though the truth is many of those 137 aircraft never found a substantial market. Indeed, our market share list of SLSA airplanes shows the top 20 brands represent better than 85% of all sales. 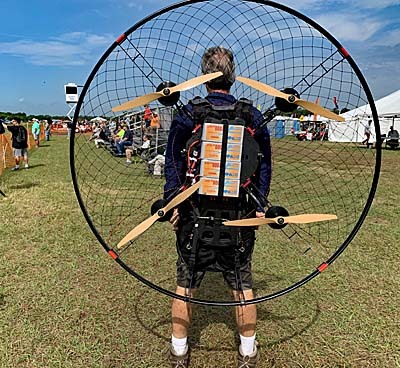 Regretfully, our ranking shows only airplanes as we are unable to pull good data from FAA's database for motorgliders, weight shift trikes, powered parachutes, and other "alternative" aircraft. 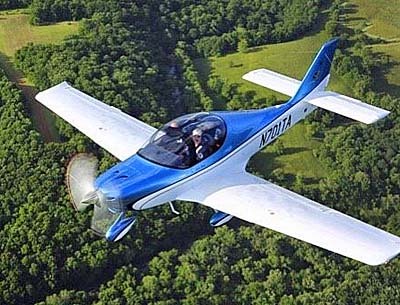 All that said, I am pleased to announce one of our most solid companies — Rans — continues to introduce new airplanes like their S-20 Raven and to qualify them to be accepted by FAA as a fully-manufactured Special Light-Sport Aircraft. 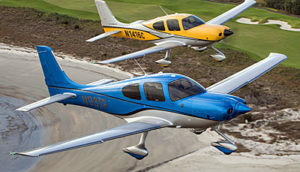 In general terms, Raven is something of a blend of the company's massively successful S-6 Coyote that comes in several flavors and their tandem seating S-7 Courier. 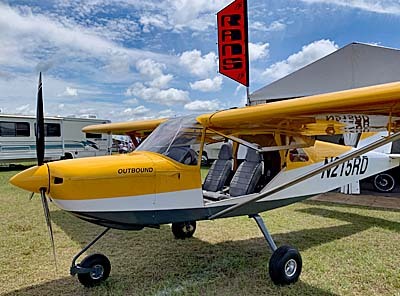 The latter has long been very popular among certain Rans enthusiasts and I joined their ranks a decade ago after flying with designer Randy Schlitter at an AOPA show in Tampa, Florida. Yet one thing held back the S-7 from even broader acceptance. 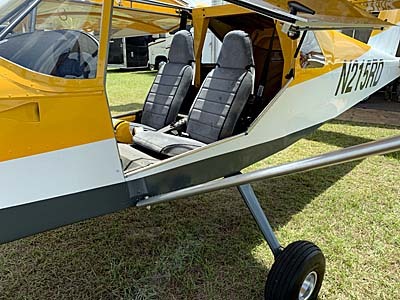 Although tandems have some advantages — good visibility for both occupants to either side, and a slightly leaner shape, for example — many pilots prefer side-by-side seating. Make it so! From the prolific mind of Mr. Schlitter came S-20 Raven. As the number implies, this is his 20th design and, to some, it may be his best yet. Rans offers quite a variety from the sleek, all metal S-19 Venterra speedster to the open-air S-18 Stinger (another tandem by the way). Yet to many recreational pilots who just love flying, Raven hits all the high points with several features not found on other Rans models. 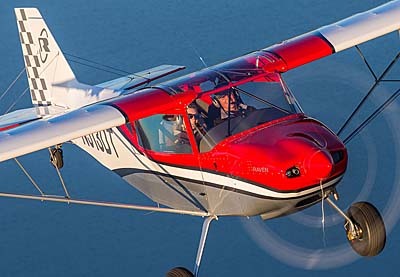 For flight qualities and more about this newest Rans model, watch our Video Pilot Review. Interested customers have been able to buy an S-20 Rans kit for several months. Now, with a fresh airworthiness certificate, Rans can begin delivering Ravens in ready-to-fly mode. Let's look at the previously available S-20 Raven kit first. A complete airframe kit with the firewall forward components lists for $27,500. An engine installation kit for the 912ULS (engine not included) is $5,000. A prop (choices available) and mounting hardware will run around $1-2,000. Add the 912 engine, paint, interior, and basic instruments and you reach around $60,000. Assuming you don't put a price tag on your labor that is a quite a good bargain for a great-flying airplane representing a contemporary design. A Quick-Build Kit will add $9-10,000 or slightly more — depending on how you want pre-built parts painted — but may be well worth for pilots who want to fly sooner and for whom the building project is a chore rather than a pleasure. If you just can't wait to fly Raven, a beautifully-finished, factory-built edition retails for $119,000 with deluxe analog day VFR instruments, radio with intercom, transponder, and GPS. 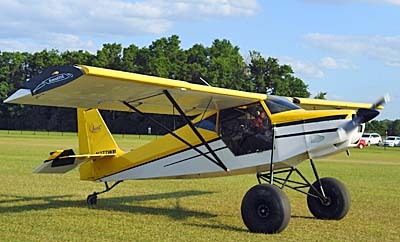 You can choose a tricycle gear or taildragger configuration for the same price. For powerplants, if you opt for the fuel-injected Rotax 912iS over the carbureted 912, add $5,000. Or, for Lycoming fans, Rans is now offering the 115 horsepower O-233 engine for an added $7,500 over the standard 100 horsepower 912. Add a "deluxe digital panel" for $10,000 and a lighting package of nav lights, strobe, instrument, and landing/taxi lights for $2,500. Of course, this well established company offers a number of other options which you can find on their website. Go here to see more. 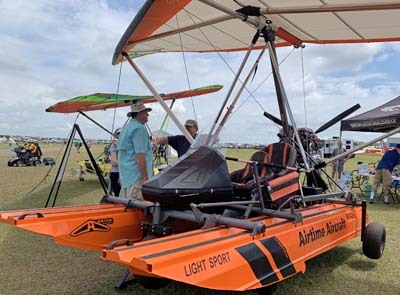 The world of Light-Sport Aircraft has matured in the sense that we no longer have an airplane or two or three every month being added to the SLSA List. That may sound like a “industry slowdown” to some folks but I don’t believe that’s an accurate assessment. A more realistic view is that the feverish rush days of 2004-2006 are over. That means not as many new SLSA are being offered though the truth is many of those 137 aircraft never found a substantial market. Indeed, our market share list of SLSA airplanes shows the top 20 brands represent better than 85% of all sales. Regretfully, our ranking shows only airplanes as we are unable to pull good data from FAA’s database for motorgliders, weight shift trikes, powered parachutes, and other “alternative” aircraft. All that said, I am pleased to announce one of our most solid companies — Rans — continues to introduce new airplanes like their S-20 Raven and to qualify them to be accepted by FAA as a fully-manufactured Special Light-Sport Aircraft. Model Merger; Is S-20 Raven a Best of Breed? 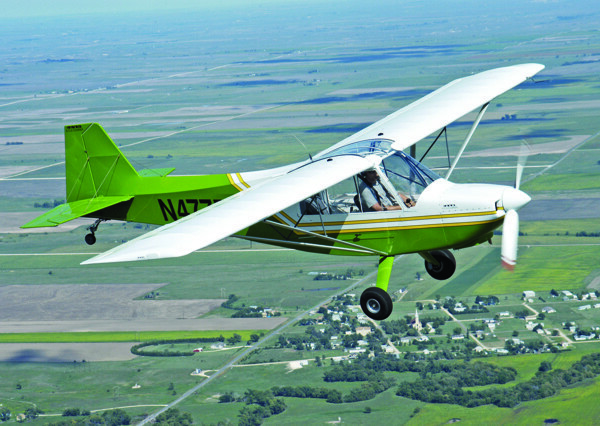 I view Rans' newest aircraft as a benchmark design for the airplane company based in Hays, Kansas, more than 100 miles northwest of another aviation hub known as Wichita. 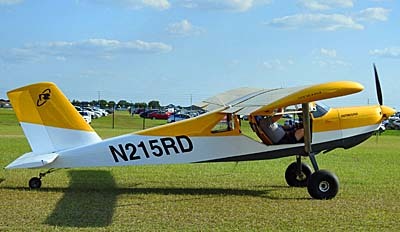 Rans started 31 years ago with a little single seat ultralight called Coyote. Company designer Randy Schlitter shows marketing savvy using both numbers and names for his models — they help people remember — so it was another benchmark of sorts when he hit 20, and that would be for the S-20 Raven. His designs don't plod along with incremental changes. For example, his S-11 (never produced) was quite a radical departure and the S-19 Venterra that preceded the S-20 Raven was an all-metal low wing design. Raven isn't anything like S-19 but it is a great deal like two other airplanes in the bulging portfolio of creations from Randy. You might think of it as a merging of two of the most successful models ever made by Rans. 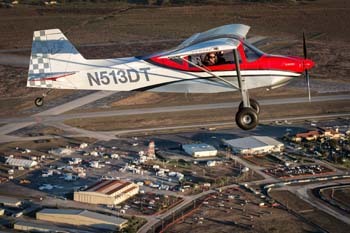 "The S-20 is the best of two great planes that have been in production at Rans since the '80s," reported the company. "We created a new fuselage and took the wings, tail, fuel system, and aero servo ailerons from the S-7S Courier, and engine system, control sticks, flap lever, rudder pedals, seats, and instrument panel from the Coyote II S-6S. The intent was to answer the many requests for a side by side bush plane, equal to or beyond the Courier." Coyote is a model series derived from that original single seat Coyote leading to a two side-by-side design. 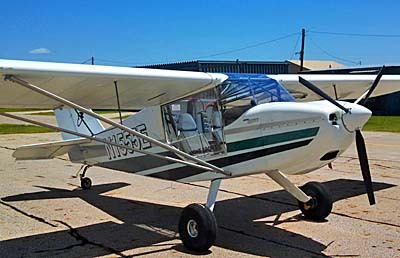 As you can tell from the S-6S suffix — it's one of several such model definitions — Coyote II (for two place) has has sold thousands for Rans, resulting in variation upon variation. 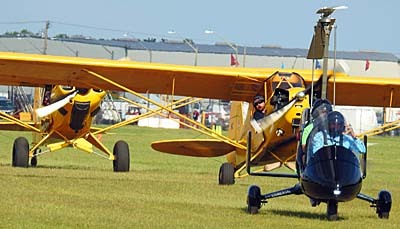 The aircraft is available as a kit, as an SLSA, and therefore can be sold as an ELSA. Randy believes that S-20 really delivers what people were seeking. He said the S-7 is "roomy, easy to get in and out of, solid feeling, tough enough to do bush flying or on floats, and generally has the size that our customers want." Indeed, Raven fits customers well with its 46.5-inch cabin width and the huge 50-inch long doors that make entry so easy. These were used on the Courier due to the tandem seating (it greatly helps entry to and exit from that model) but wide access is also easier to load S-20's ample 21 cubic foot, 80-pound baggage area. After it first took to the air in December of 2013, impressions of the newest Rans airplane began flowing. "Flight testing shows a faster cruise and slower stall by a couple of knots. The clean aerodynamics of the engine cooling system and less wetted area of the fuselage are the reason for increased performance. Even the glide ratio has improved, at a solid 9.4 to 1," reported Rans. Even though Raven is wider than the lean, tandem S-7 Courier, the new model has an edge. Company reps continued, adding that handling is crisp with light controls that are well balanced. "Flying a slow approach into a short mountain strip will present little challenge," noted Rans. "Equipped with large bush tires and vortex generators will increase the Raven's back country utility." With wings from the S-7 Courier that is such a sweet flying aircraft, I wondered how people are perceiving the differences. Randy explained that while Raven is indeed similar, "Raven is evolving its own personality. The fuselage differences mean the occupants experience it in another way, but they see S-20 as a smooth, quiet, 'Cadillac' ride." Raven is comfortable for its occupants thanks to upholstered seats with five-inch fore and aft adjustment that be changed in-flight. Pilots may also enjoy three seat-back recline settings. Over the years I've had the pleasure to fly nearly every one of Rans' designs. While each has a separate flight mission, all exhibit crisp handling that most pilot will like. One I did not fly for many years was the S-7 Courier, because I thought it would fly like a Cub. 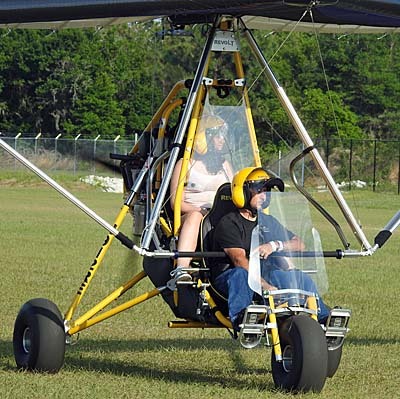 I could not have been more wrong and after I finally went aloft in the tandem, I saw the appeal and think it is my favorite among the many designs the company has marketed (pilot report). 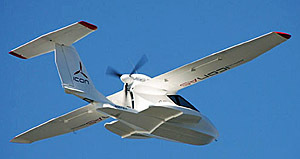 Combining the side-by-side seating that more pilots like — because you can see and communicate with your passenger — with the delightful flight qualities of the Courier suggests the Raven could be THE ONE ... the airplane in Rans' fleet that could appeal to the most pilots which in turn forecasts that it might become their best seller. Those of you headed to Sun 'n Fun will be able to see the new model, looking shiny and finely finished as all the Rans factory aircraft do. You might want to get your name on their demo flight list early as it's my guess that this will be a popular request. 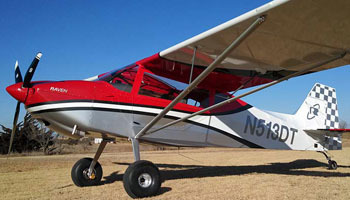 I view Rans’ newest aircraft as a benchmark design for the airplane company based in Hays, Kansas, more than 100 miles northwest of another aviation hub known as Wichita. 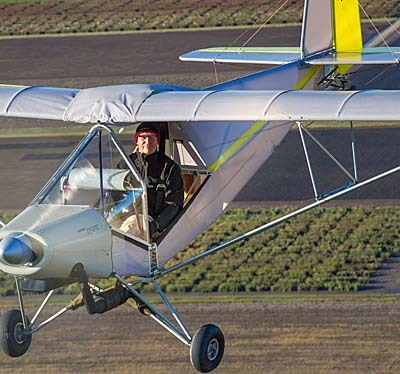 Rans started 31 years ago with a little single seat ultralight called Coyote. Company designer Randy Schlitter shows marketing savvy using both numbers and names for his models — they help people remember — so it was another benchmark of sorts when he hit 20, and that would be for the S-20 Raven. His designs don’t plod along with incremental changes. For example, his S-11 (never produced) was quite a radical departure and the S-19 Venterra that preceded the S-20 Raven was an all-metal low wing design. Raven isn’t anything like S-19 but it is a great deal like two other airplanes in the bulging portfolio of creations from Randy. You might think of it as a merging of two of the most successful models ever made by Rans.